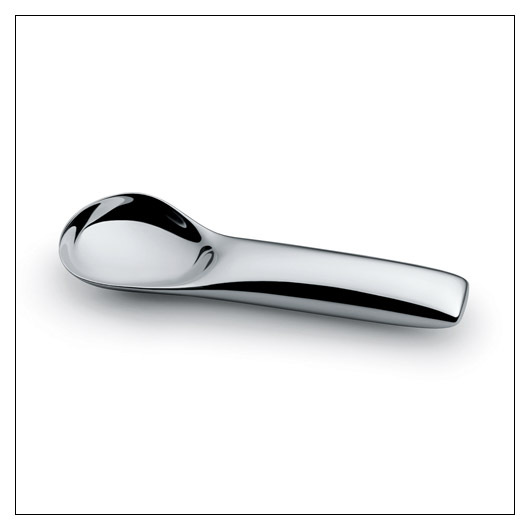 Alessi Koki Ice Cream Scoop (ALKOKI) at Pure Design / Accessories / Kitchen ::: Furniture for the Home, Office, Home Office, and More at Pure Design Online! Koki is an ice cream spoon designed by Valerio Sommella for all lovers of ice cream. The handle design is reminiscent of a cushion that makes it comfortable and pleasant to hold. The length of the spoon handle means it can be used with all types of containers on the market like boxes and tubs.